Are you weighing solutions to start a development project? Explore our NodeJS development rates. 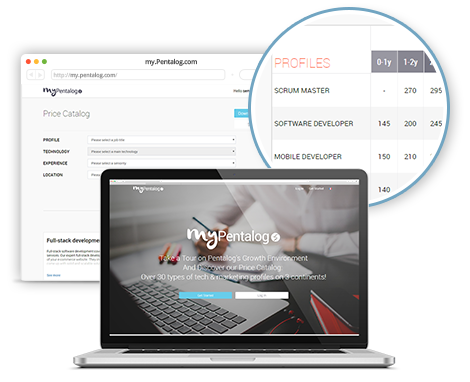 Pentalog relies on the technical skillsets and business expertise of 100 NodeJS Developers to help you create speedy, scalable and high-performance applications. You can leverage their in-depth knowledge of the NodeJS ecosystem to handle any real-time data processing challenges in your messaging systems, e-commerce platforms and more. NodeJS development rates start at EUR 140 / USD 170 (prices are per developer when hiring a dedicated team of at least 3 people in a nearhsore or offshore location). Explore our price catalog to learn more about our pricing model, locations and available profiles.